Stringcasters website boldly states "Moon Howling Guaranteed" and "Bluegrass, Rockabilly, Country and Hillbilly" are these claims justified? After listening to the band, the claims do indeed appear to be accurate - see for yourself on their website Media page. 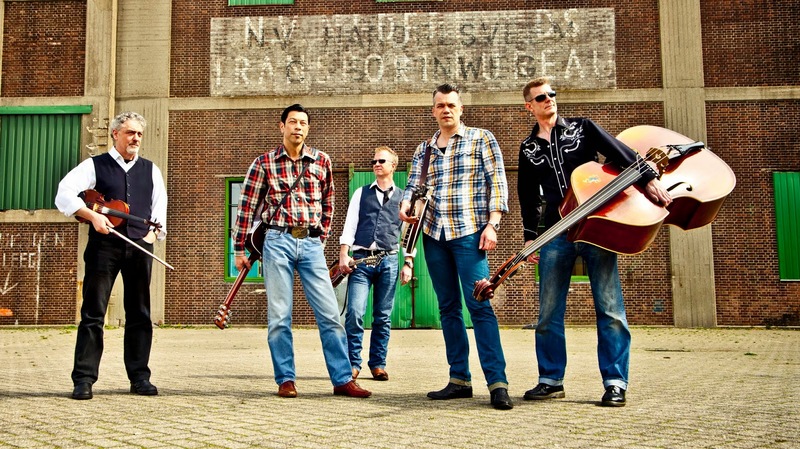 From The Netherlands, Ralf Wychgel, Jimmy Ellis, Robert van Driesten, Martin Voogd and Marcel Verbaasbring bring all of their musical influences together and are clearly a band that would have even the most weary of audiences on their feet and dancing. Their latest video, Twilight Zone, as the name implies, uses some strong imagery that might not be suitable for a younger audience. The video for Twilight Zone is a prelude to a follow up to the bands 8 More Miles album though a release date has not yet been announced.